A wetter-than-usual event was nonetheless chock full of hard sends, new friends and shenanigans to spare. 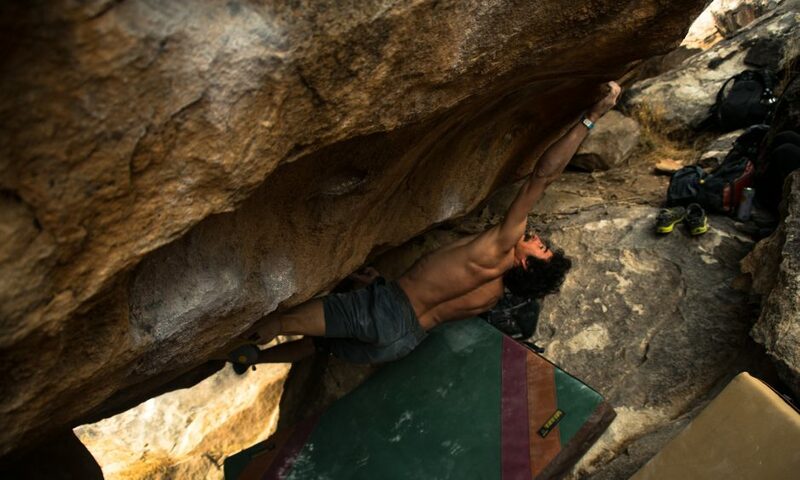 Keenan Takahashi—the winner of at Open Division at the 2018 Hueco Rock Rodeo, in Hueco Tanks, Texas—stays calm and fights off the pump on Chupacabra Right (V11). Photo: Levi Harrell. When you mix the nation’s biggest outdoor bouldering competition with free tacos and a thunderstorm, you learn just how close the climbing community is willing to get. 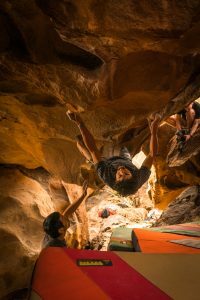 Inside the barn at the American Alpine Club’s Rock Ranch in Hueco Tanks, Texas, a soggy mix of climbers are drinking, dancing and reuniting at the 25th annual Hueco Rock Rodeo. Earlier that day, Friday, February 16, the competition was rescheduled due to inclement weather. 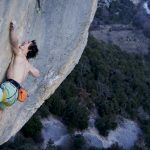 A number of slideshows from pro climbers provide welcome distraction from any disappointment over the postponement. Chris Schulte opens with a slideshow of brick-red boulders scattered beneath the towers of Indian Creek. 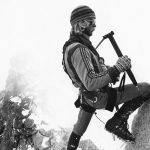 He splices stories of first ascents with tips on how to tread lightly. 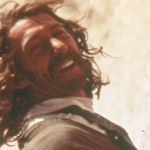 “You wouldn’t throw a pad on top of that Spanish Dagger,” he says, pointing to a Yucca ready to spear the climber above it, “because you’re better than that.” The rain carried on through the evening and the contest was delayed yet another day. After an extra rest day that nobody asked for, Sunday finally arrives. The vans take off at 9 am and competitors eagerly plume across the Park. 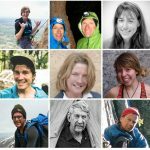 This year masters and intermediate competitors will climb on North Mountain; advanced competitors will climb on East Mountain; and recreational and open competitors will climb on the East Spur. Keenan Takahashi working through the start of Phantom Limb, (V12) on the East Spur. Photo: Levi Harrell. Some, like last year’s open second-place finisher Keenan Takahashi, carefully think through their day: “Start at the Flame, Flamingon, then head to Phantom Limb,” he recites, when asked. Others are ready for whatever: “Follow Keenan around and climb a lot,” Ben Hanna, who placed third last year, answers. By the time everyone reaches the base of the boulders around 10:30, there is nothing left to hold back. Rodeo day is different like that. 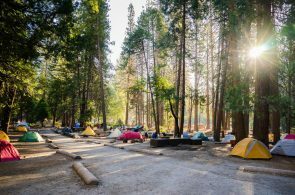 An already high-energy event has the added excitement of anticipation, and throughout the day indiscernible screams can be heard coming from caves, mingling with the pounding drums of a Native American ceremony taking place elsewhere in the Park. Lunch consists of anything that fits in a pad and gets you up a boulder. Chocolate croissants, donut holes, tuna packets and goldfish are all popular options. Near the end of the day Hanna takes out a can of peaches and drinks the juice. He reports that his stomach hurts, and then proceeds to send Scream, a V11 with a campus start. As high energy as the day is, the awards ceremony reflects the stale enthusiasm of what has turned into a four-day festival—three parts party, one part climbing. 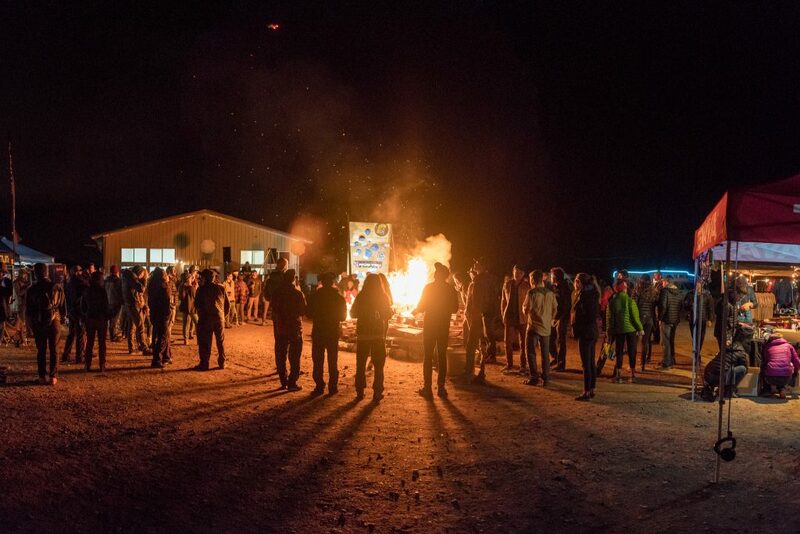 Those who have made it this far gather around the still-burning bonfire. The beer station is now self-serve and Al Smith, the designated MC, has abandoned the mic. Hardly even raising his voice, he summons everyone toward the stage for the results (see below). Onlookers watch the Dyno Comp at the Hueco Rock Ranch. Photo: Levi Harrell. The women’s advanced category has a five-way tie for first, so the prizes are determined by an on-stage pull-up contest. The night ends with the curious absence of the Women’s open category (no one turned in score cards), and a congratulations to the Men’s 0pen winners. 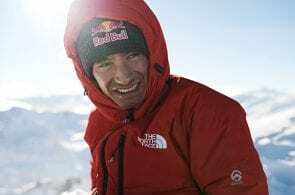 Ben Hanna comes in third again, having sent The Flame (V11), Phantom Limb (V12), The Ugh (V11), El Chupacabra Left (V10), High Scream (V10) and Scream (V11). 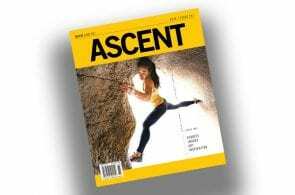 Toshi Takeuchi, having never climbed on the East Spur before, manages second place with sends of The Flame, Flamignon (V13), The Ugh, High Scream , Scream and Ice Cream (V12). 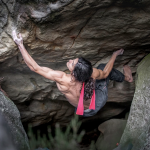 And Keenan Takahashi wins with a ticklist of The Flame, Flamignon, Phantom Limb, The Ugh, El Chupacabra Right (V11) and Scream. Gravel crunches under tires as we exchange future plans and projects lists, roadmaps to where we might meet up again some other time. We all chase the seasons and hope for good weather, knowing that some things are out of our control and that we’re going to make the best of it anyway.